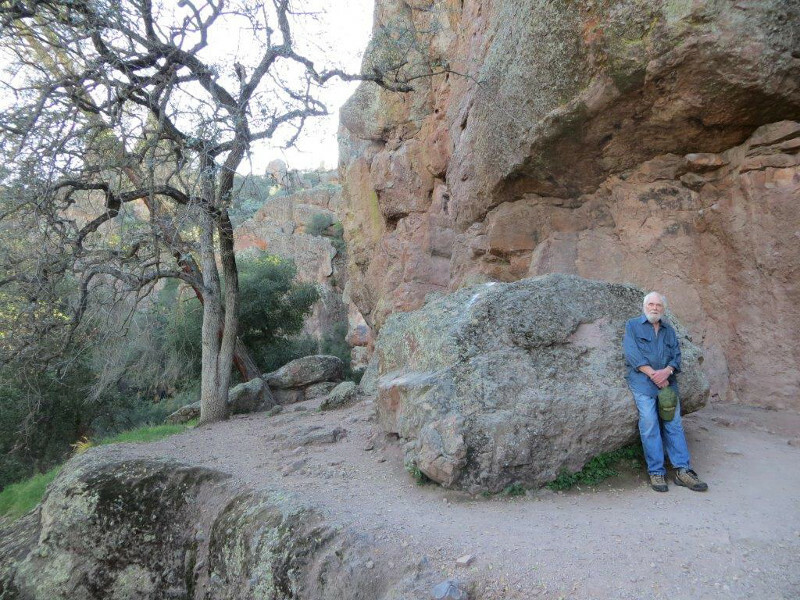 In February 2015, Ken and Irene Monroe left for a hiking holiday in the southwestern US. 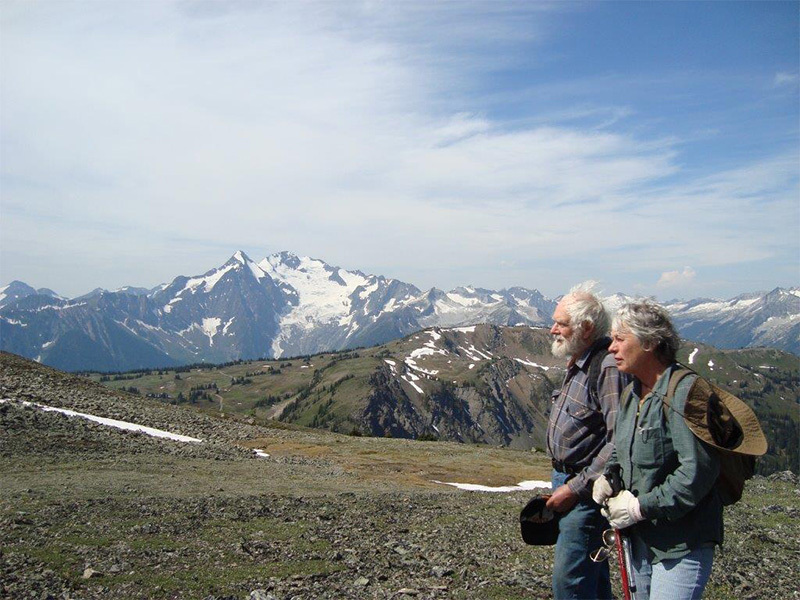 Ken is 87-years-old, Irene 70, and both are hiking enthusiasts, to say the least. Their first stop was Pinnacles National Park in California, where they camped and hiked for 5 days. Ken and Irene Monroe are avid hikers. We loved it and the time of year was perfect…. 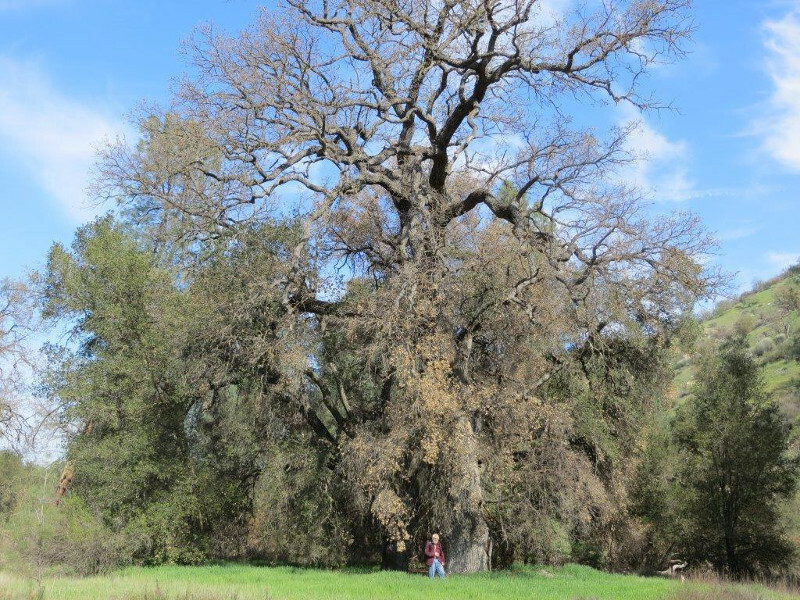 after a 4-year drought, there had been some rain, so there were fresh spring green rolling California hills, wildflowers, 800-year-old oaks, and beautiful rock formations. 800-year-old oak tree in Pinnacles National Park, California. On our last hike there, we found some mushrooms growing under those old oaks. 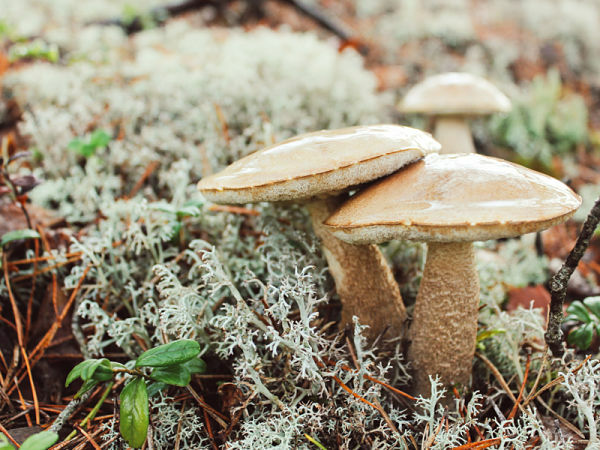 We have eaten mushrooms for 30 years at home in BC with a guidebook, but this was California, and no guidebook. We assumed these were edible mushrooms and picked 4 big handsome ones that looked like ones we’d eaten in BC before. Later we asked a park ranger if there were poisonous mushrooms in the area. You get where this story is going… “Don’t think so; not that I know of,” so we took that at face value and ate them for dinner that night. They were delicious. Unbeknownst to us, they were the deadly poisonous Amanita Ocreata, commonly known as Destroying Angel. Amanita Ocreata, commonly known as Destroying Angel. Later that night, Ken got diarrhea, and by the next day, he was throwing up and I was really sick too. We left the park and checked into a motel so we could recover from what we thought was the flu. But we got sicker and sicker. The next morning, we went to emergency in King City and were quickly admitted and put on IVs! Ken enjoying his vacation before his medical emergency. We were asked if we had a will, if we wanted to be resuscitated, both unnerving questions! We were also asked if we had travel medical insurance, which we did – with TuGo. The hospital admin person was able to quickly connect and confirm that, to our great relief. The ER staff there was incredible; they phoned Poison Control who got a hold of an internationally known toxicologist, Dr. Tod Mitchell, who was lecturing in Sweden. We were then transferred by ambulance to a larger hospital that could administer a drug that was fairly new. Dr. Mitchell consulted with the Dominican Hospital in Santa Cruz from Europe, and then eventually returned to Dominican Hospital where he practices and continued overseeing our treatment. We were very close to death by the time we got to the Dominican Hospital in Santa Cruz. At one point, there was not much hope for Ken, but good old Ken, he rallied and we both made it! I cannot express the respect and gratitude I have for those two hospitals and the people who cared for us. They were kind, and capable. They even followed up on us – the first hospital ER nurse called us while we were at Dominican to see how we were – “We all were so worried about you.” A nurse in Dominican brought us flowers from her garden, because “you love nature.” Another nurse cried with me when it looked like Ken might not make it. From the time we entered the ER in King City, until we were discharged a week later from Dominican Hospital in Santa Cruz, the staff at both hospitals was able to get confirmation and information from TuGo, our travel insurance providers. There was never a question or hesitation about our travel insurance coverage. We could get the help and assistance that was so needed while we were so ill. I carried our TuGo™ Travel Insurance policy information along with our passport and other important documents. That little booklet was pivotal to me keeping in touch with our insurance provider 24/7. When I was well enough to talk on the phone, I was able to reach TuGo every time I needed to without difficulty, without waiting, and was given all the information and reassurance I needed to get us through our medical care and home. Not only did TuGo help make that gruelling experience so much easier for us, ensuring we got the best care possible and walking us through the steps, they also covered our claims. With my medical care costing $93,844 CAD and ken’s $143,736 CAD, this would have been financially devastating! We’re glad to be home, and appreciate every day. It was a life-changing experience and a true medical emergency; and we will be well, but not the same.